The intensive schedule of the XXV edition of the Restoration, Museums and Cultural Business Trade Show in Ferrara included, on the afternoon of 21st March, 2018, the inaugural day of the event, the conference initiative Digital Cultural Heritage | International Experiences. Documentation, survey and representation for knowledge, design and conservation, organised and curated by the DIAPReM/ TekneHub Departmental Centre of the Department of Architecture at the University of Ferrara, in collaboration with the UID, Italian Union for Drawing, with the scientific coordination of Marcello Balzani and Manuela Incerti (University of Ferrara). The main theme of the conference was the relationship between digital technologies and cultural heritage: the undeniably prominence of this topic, as well as its central role in the international debate, are borne out by the importance given to digitalisation in the development trajectories set out in the European Digital Agenda, in addition to the the institution in 2018 of the European Year of Cultural Heritage, with the aims of promoting knowledge and sharing and disseminating history and culture (read more). 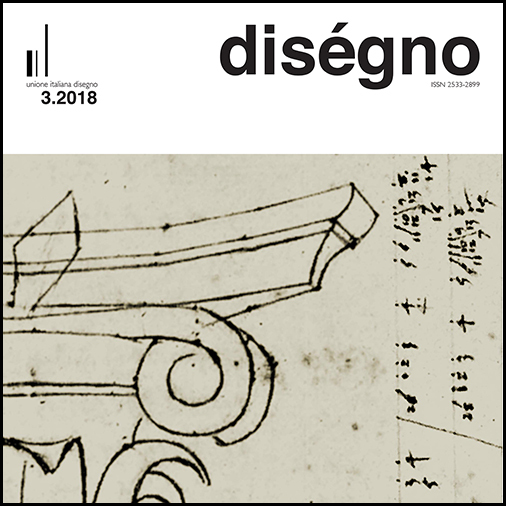 V. Menchetelli, “Digital Cultural Heritage | International Experiences Documentation, Survey and Representation for Knowledge, Design and Conservation”, diségno, no. 3, pp. 248-250, Dec. 2018.